Wake Wood starts out with an unnerving premise and goes downhill as the film’s tyke goes on a killing spree. Her name is Alice, and she has had a happy life. Why does she kill? Well maybe if you were resurrected during a Pagan ritual, you’d have problems too. After Alice (Ella Connelly) is killed in a dog attack, her parents Patrick and Louise (Aidan Gillen and Eva Birthistle) would do anything to have her back. They move to Wake Wood, the kind of community that exists primarily in horror movies, cloistered and isolated, with weird locals who come into the house uninvited. “How would you like to get you daughter back?” asks creepy villager Arthur, played by Timothy Spall (not a direct quote). “That’s not funny,” replies Patrick. a believable response. But conveniently, Louise caught a glimpse of a resurrection ritual. She believes him. The ritual can bring the deceased back for three days, so the bereaved can say their goodbyes. It requires that another person’s body be used in the process of resurrecting the girl. Conveniently (or not so conveniently), an older man in the village was recently crushed to death by a cow. The ceremony is prepared, but the child’s parents lied about one important detail — Alice has been dead for more than a year, which creates a rift in the Pagan magic. Will Alice come back a normal little girl? Or the bad seed reborn? You should have been able to figure out the answer to this question without my little commentary in the first paragraph. And forgive me, but I don’t buy that a seven-something year old girl, albeit an undead one, could rip a woman’s heart out of her ribcage. Which also happens in the movie. Keep up with me, folks! Notice how I’m using the word “convenient” a lot? “Wake Wood” runs on unlikely occurrences, close calls, and horror cliches, like “car breaks down,” “woman runs into *gasp* her husband,” and the inevitable “child kills animal” archetypes. All this and a scene pulled straight from Carrie. Ella Connelly, as the girl, has all the cuteness and wide-eyed sincerity of a young Dakota Fanning, but Dakota Fanning she is not. Although she could act happy and sweet, she wasn’t really convincing as an infernal child-gone-wrong. Which brings us to the ending. Eva Birthistle is the highlight of this film, portraying grief and distress naturally. Timothy Spall is a great actor in an underdeveloped, criminally underwritten role, therefore hindering his capacity for greatness. 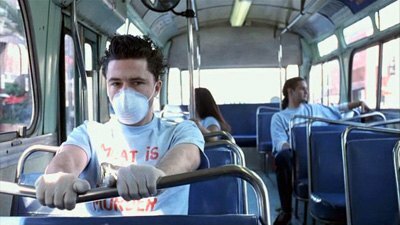 Aidan Gillen, who did a commendable job playing a mentally ill stutterer in the indie Buddy Boy some years back, practically sleepwalks through this role. His apparent mindset: play the part, jump the hoops, collect the paycheck. There’s little passion or commitment to this role. Now that I think about it, his character in Buddy Boy was a bit stiff, a little under-reactionary. But it fit the character, and Aidan Gillen had some spark playing the nervous wreck. Gillen now plays Patrick as detached to the extreme, facing horrific and astonishing occurrences with mild anxiety. He plays a concerned husband, but that’s about it. Despite it’s initially chilling premise, Wake Wood fails to deliver. Although it has potential as a thriller, it ultimately fails as a movie. the hill outside Jerusalem on which Jesus was crucified. The meaning of the title will become gradually more clear to you after viewing this film, which is directed by John Michael McDonagh, brother of Martin McDonagh, the critically acclaimed filmmaker of the well-received black comedies “Seven Psychopaths” and “In Bruges.” “Calvary” is something of a dark comedy too, though it is more soulful and melancholy than you might expect. 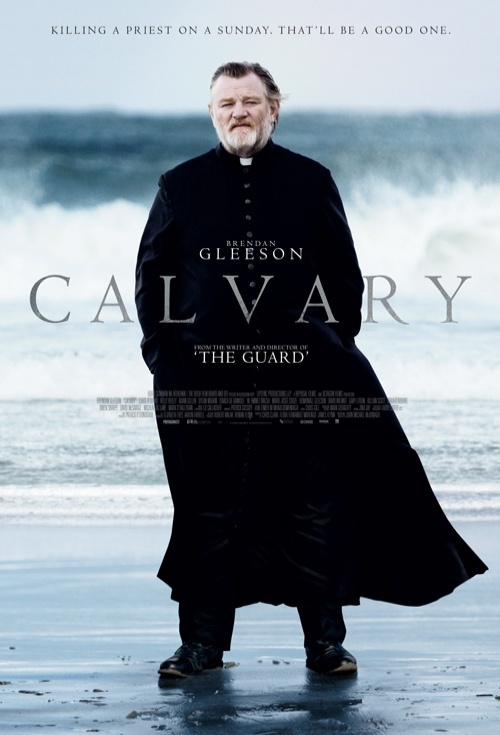 The plot concerns Father James (Brendan Gleeson, who played in John Michael’s previous effort, “The Guard,” and his brother’s film, “In Bruges”) an acerbic but well-meaning priest, widower, and father of a self-destructive adult daughter, Fiona (Kelly Reilly.) Fiona is fresh from a suicide attempt, and she and Father James are attempting to mend their broken relationship. James tries to offer counsel to the locals of a small Irish village, whether they want it or not. Far from appreciating his much-needed advice, the townspeople spit bile in James’ direction, and are certainly quite weirdly sinister as a whole. Apparently the fallout between the general public and the Catholic Church is to be placed on Father James’ shoulders and his alone. The story begins, quite literally, when Father James receives a death threat during confession from a man who was sexually abused by the clergy and believes that the act of killing a good priest will send a grander statement then that of killing a bad one. The speaker is quite direct; he is to meet his assassin at the seaside a week from then, but Father James does not act the way you might expect him to about this arrangement. The plot unfolds a bit like a reverse mystery-thriller, with James knowing the killer’s identity but with us only finding it out at the climactic scene. And sometimes, the villagers seem a bit too malevolent, like something out of a horror movie. But as a whole, they’re very well-acted, with the exception of Owen Sharpe as gay gigolo Leo, who just needed to go away and get out of my sight. His voice alone was enough for me to request euthanasia from the person nearest-by. Brendon Gleeson is an excellent actor though, and the movie is carried on his able shoulders. The relationship between him and his daughter seems real and touching. The movie has a lot to say about the declining relations between organized religion and the modern people, and the understandable anger and distrust that followed the Catholic sexual abuse scandals. I recall a scene where Father James is walking down the road and strikes up a conversation with a young teen girl. Seething, her father pulls up in his vehicle and bawls his daughter out for speaking to this potential child-molester. Because he’s a priest or because he’s a man, I wonder? Either or, the scene has a lot of valid things to say about this jaded day and age. “Calvary” is not my ‘new favorite movie’ or anything, not by a long shot, but I think the good outweighs the bad on this one. It’s very much a commentary on Ireland- the approach to Christ and Catholicism, the devastated wake of the troubles, and the financial disaster looming over this beautiful but impoverished country. 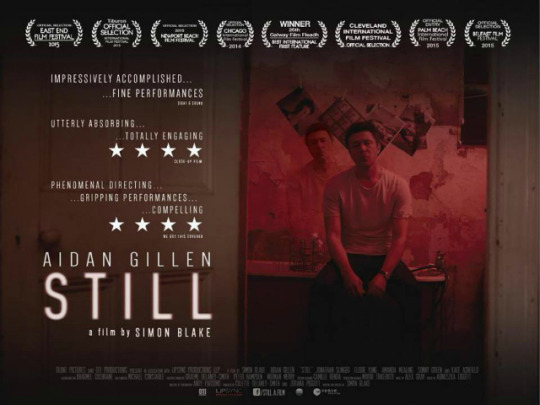 Gleeson excels in the role he is given, and the film offers a few laughs as well as chilling commentary on this scapegoat’s journey and the audiences’ eventual realization perhaps the only person you can save is yourself, and sometimes not even that.